Home to ancient tribal cultures and littered with hundreds of barely explored islands, there's an aura of wonder about the eastern Indonesian province of West Papua. The coastline's array of dramatic scenery, including hidden lagoons, shimmering waters, and insurmountably rocky islands, is sure to excite the imagination. 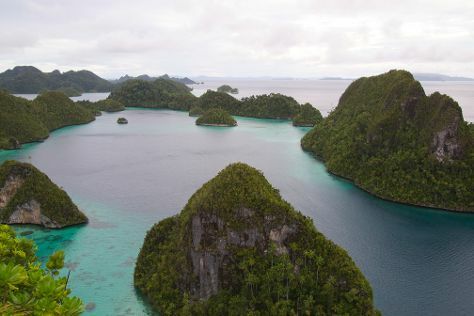 While the province works through a complicated political situation--a big push for autonomy has long dominated news about West Papua--holiday-makers continue to come here, drawn by the remote location. You might need to obtain travel permits before planning a tour of West Papua's more far-flung areas, so check with the local authorities before you book anything. West Papua is in Indonesia. Plan the details of your West Papua holiday and any onward adventuring with our easy-to-use Indonesia road trip planning website .